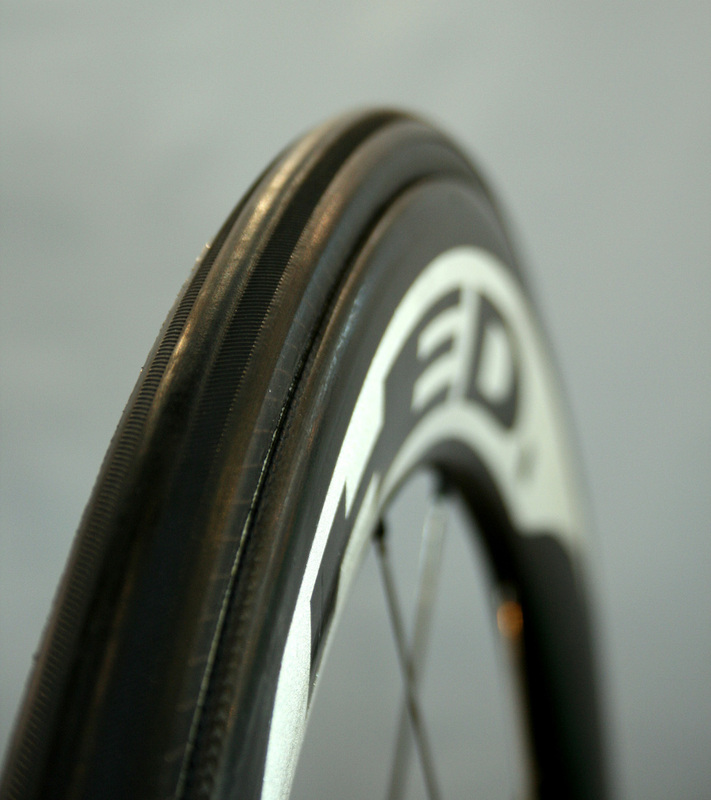 These are the new HED deep section wheels, where the rim bows out to give a wider profile than the tyre. This makes a more wing-shaped profile than other rims. The rear pictured is very similar to a Zipp 808, in depth, but as the picture shows, the width of the rim is considerably wider than normal. New HED deep section wheels.